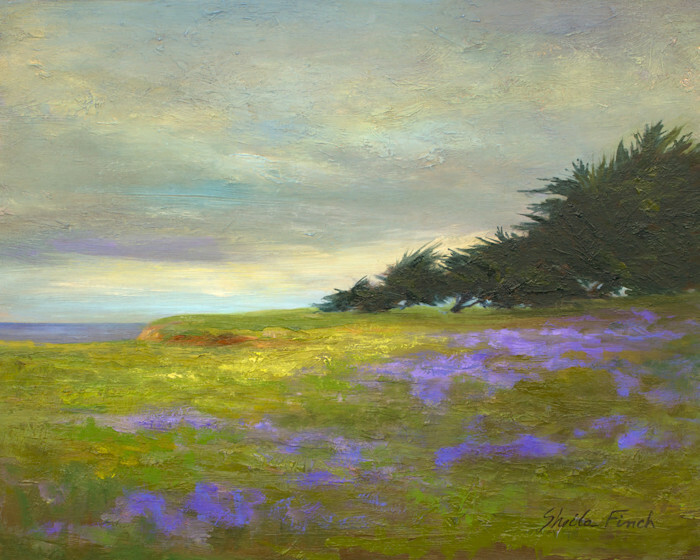 COASTAL BLUFFS 8 x 10"
This painting is of a favorite spot on the bluffs above the Pacific Ocean along the coast in Moss Beach. In the Spring there's all these vibrant flowers that are just the perfect color spray against the Monterey Cypress trees and sky. I would often sit at "Bob's Bench" and enjoy the view here. 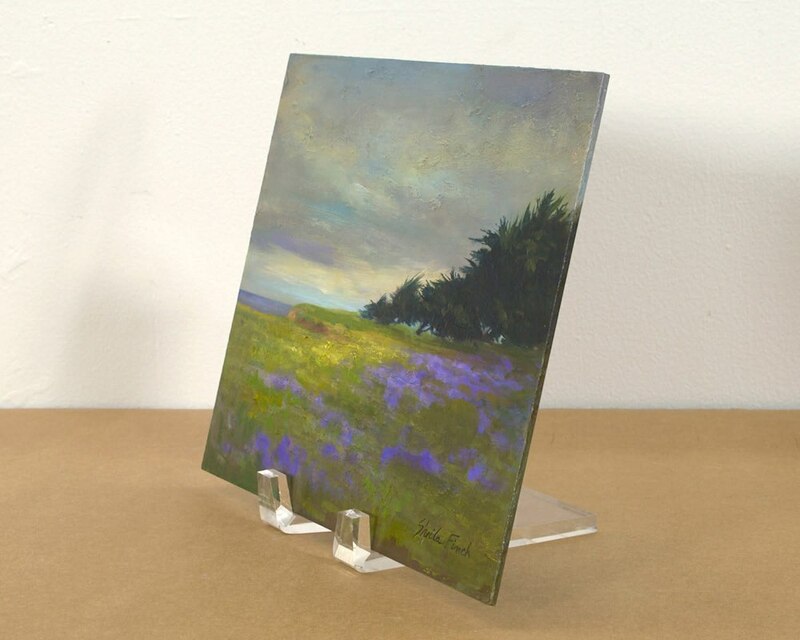 This painting is created on archival Ampersand Gessobord. 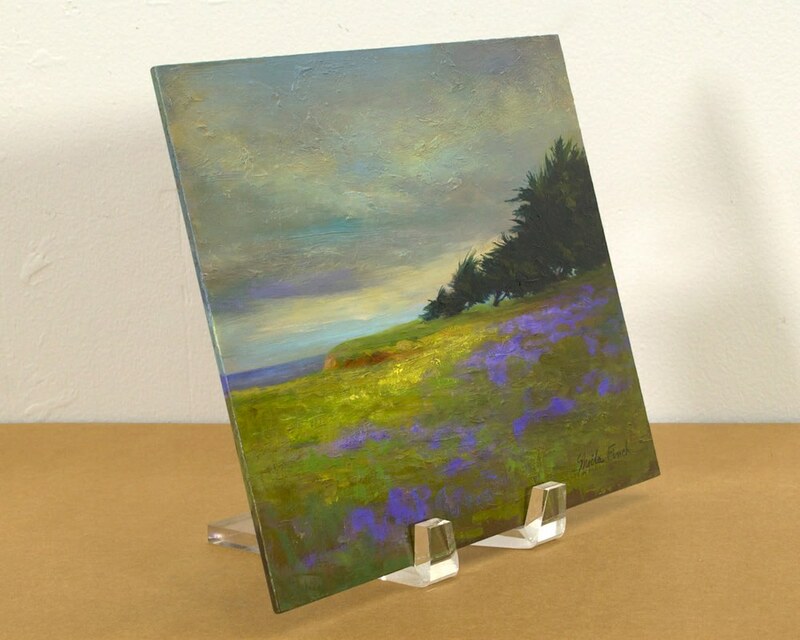 It can be displayed with a table easel or framed.